ZERO WASTE. Yes, You read that right. 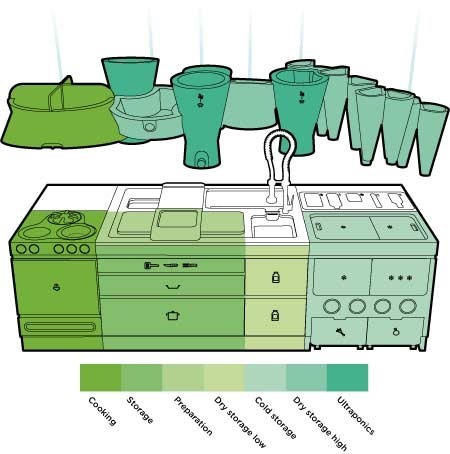 This kitchen of the future aims to have zero waste. 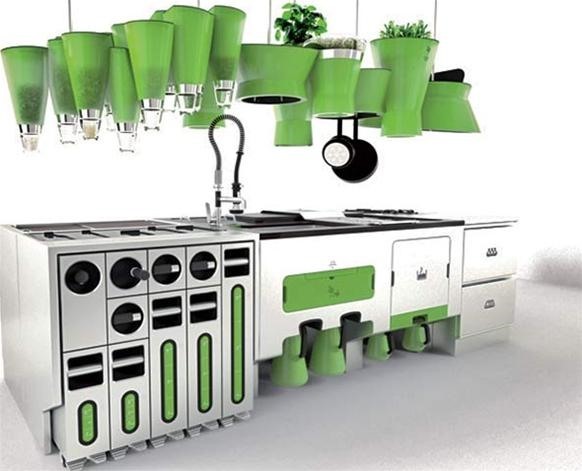 Ekokook the kitchen concept out of design company Faltazi gives us hope for a greener future. How is this possible you ask when in most homes 85 or 90 percent of a family's trash is generated in the vicinity of the kitchen? 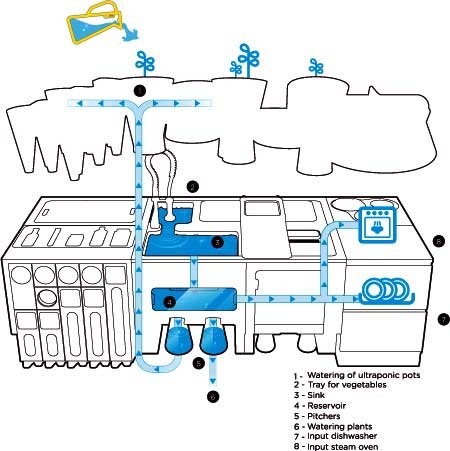 Ekokooks kitchen system is divided up into disposing and storing your waste in three mechanized sectioned systems Solid Waste, Liquid Waste and Organic Waste. Organic waste- The living stuff. This is the earth worm composter. Or a worm-a-lator as my mother likes to call hers at home. If she can wormalate the world can. She is not a big fan of the creepy crawlies. 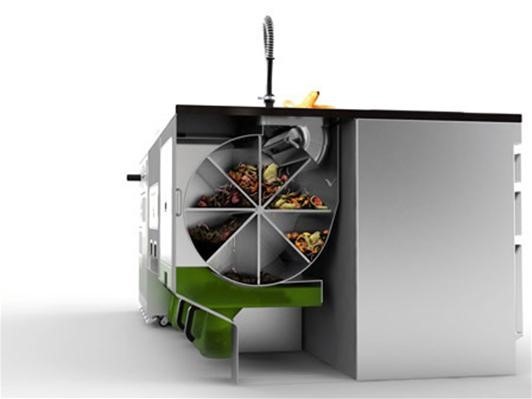 This composter uses earthworms to break down organic wastes. Green wastes go in here like peels, scrapings, left-overs, etc. Food waste. The container with the worms is a drum that rotates a notch a day. The waste inside shifts gradually and after three months maturing are considered lumbri compost. Liquid effluent drains into two pitchers, and diluted one part effluent to ten parts water, this junk becomes perfect food for indoor and outdoor plants. The kitchen also comes with pots to grow plants in, storage for your bulk items and even a designated cookbook storage area. 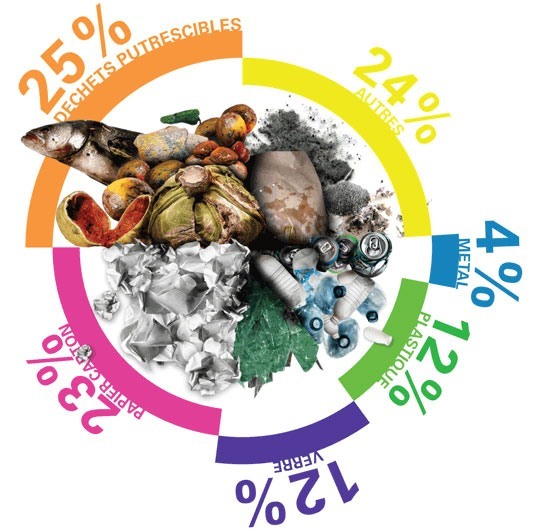 And that is only just the begining, Ekokook "turns everyday waste into a new reusable source of energy, where each drop of water that fell on the roof or came from a tap should be used to the maximum instead of going straight down the drain." What didn't they think of! Sigh, one day Ekokook you will be mine! Surely you will make for Happy Eating! Check out a video of the Ekokook kitchen concept and photos below!